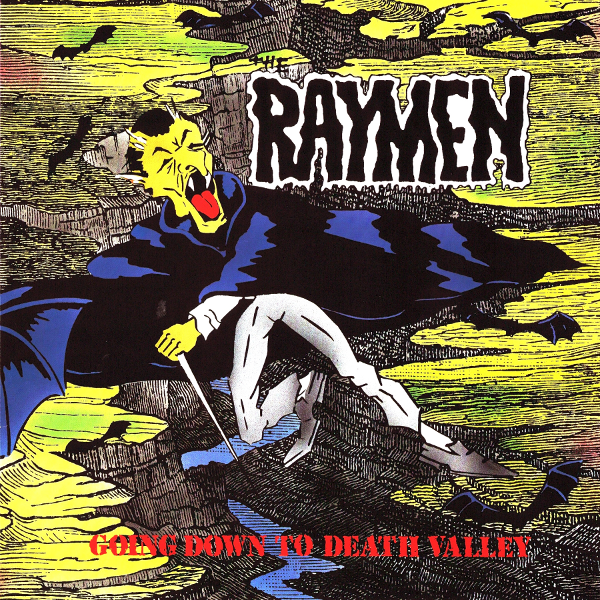 The classic debut album by The Raymen recorded way back in 1985, produced by Jimmi Quidd (Bad Brains, Dots, Undead, etc.) features some of the all - time faves with our hard-core fans like “Hillbilly Werewolf”, “Locomotion”, “Going Down to Death Valley”, “Wild Wind”, “Lonely Train”, “Haunted House upon the Hill”. It has never been released in re-mastered digital form and is now exclusively available – for you - on Deathcountry.net for digital download! Comes with the original cover art!! This page has been viewed 3,839 times.